In trading as in live, you need a plan. Follow the FANG stock with me, also I share my SCTR's oscillator posted in the public library. This oscillator is inspired by John Murphy from Stock Charts, visit site to learn about SCTR meaning. Potential of Cup and Handle pattern, neck at 7700 and could reach 9600 at mid-term. AAPL could visit again is last support set to 155. the stock is on the top of the channel and he has difficulty to exit of this channel. Maybe many investor are concern about the Iphone 8 and the price reflect the concern. GOOG bring steam into his engine again. Next major resistance is set to 988. His SCTR's is growing again, didn't fall below 50, mean that 903 was a strong support. FB look like to re-test the old structure support at 155. Could be a pull back confirmation for the next bull wave. But if price break-out the bearish channel, this scenario will be avoid. The Pull back was confirmed when he touched support at 166. Now, netflix is ready to blow his upper resistance at 189. DXY should complet the correction to 0.618 fibo before to go up again. Next target could reach 109. Gold is close to reach the very critical diagonal support around 1150. We'll see soon if the diagonal support will hold or not! Gold now retrace and target to hit 1251, but I don't expect much. The gold is in correction mode, the SCTR in day view say much. Break-out of the bullish trend. Gold is in transition ! 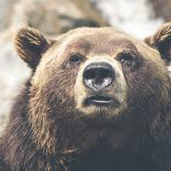 I stay bearish a mid term. Could hit 1190 soon. Gold volatility increase this week! The support @ 1332 was broken this morning, Gold will retrace to his lower support @ 1324 and could be ended his fall to the lower wedge support near to @ 1313 if the @ 1324 support won't hold.